With the recent explosion in this space, we are pleased with the addition of the Cannabis Track! As this is an industry still shrouded with both mystery and regulation it is imperative that those interested in this space attend events within this track.. 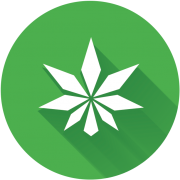 The SD Cannabis Track covers the do’s and don’t’s in the cannabis industry in San Diego with a focus on technology, business, medical, legal, banking, and regulatory issues that cannabis consumers and companies. Learn from people who live and work in this field on a daily basis. Virtually every legal cannabis company is a startup. There’s a lot to learn and people to meet in the medical and recreational cannabis space. SDSW 2018 is the perfect place where you can do this and more!